Although it was written at a time of national self-criticism, The Supreme Court on Trial remains a classic examination of the place of the Supreme Court in the American political system. When originally published, the American people were engaged in a severe examination of their basic commitments, their way of life, and the direction they appeared to be going. The contemporary literature--over the air, in newspaper editorials and columns, in books and articles--was heavy with protest, admonition, and exhortation. Although the times are different, the issues raised in this volume continue to be important. The American system exalts the American citizen as common man, with claims to the dignity of citizens, and pleas for securing their civil rights. At the same time, citizens are criticized for their cultural provincialism, fear of intellectual endeavor, and adoption of conformity. Political institutions are not immune from such evaluations. We have created Hoover commissions to study the national administrative system; the Electoral College has been the subject of persistent scrutiny since World War II. There have been demands for reconstitution of our state lawmaking bodies. What links the concerns current at the time of original publication of this volume and concerns today most obviously are deep concern we now display for the character and quality of our public school curriculum and for the administrative structure which maintains and manages our schools. The role of the Supreme Court in these concerns is evident. 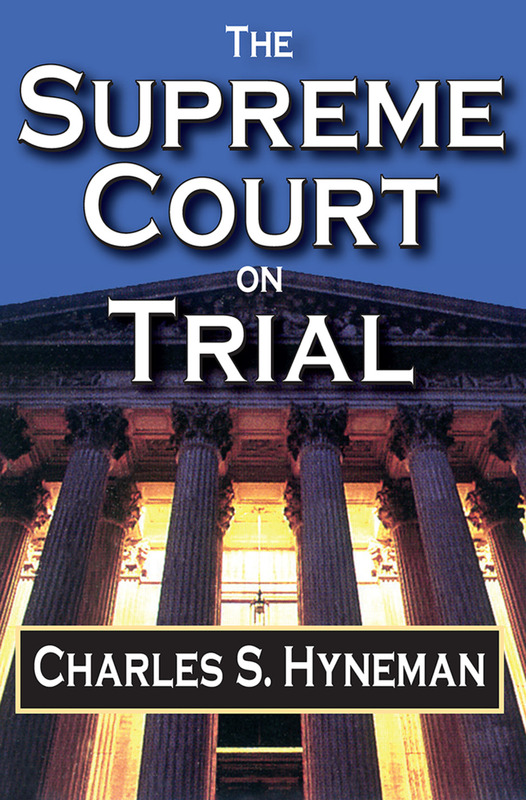 The purpose of the book is to examine critically the place of the Supreme Court in our political system and to improve the public understanding of what the Supreme Court does, how its acts have been received, and how its way of influencing public policy is related to other methods of making public policy.